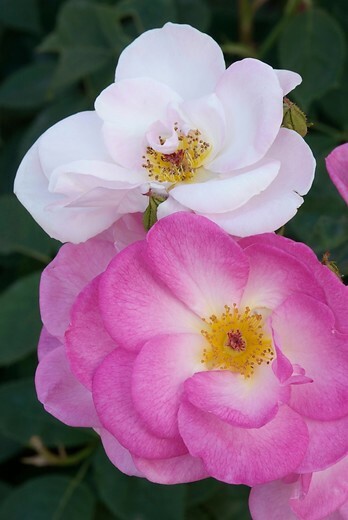 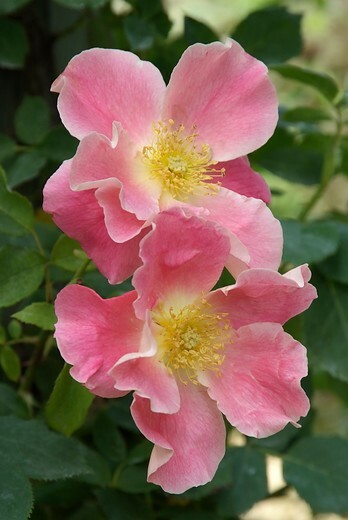 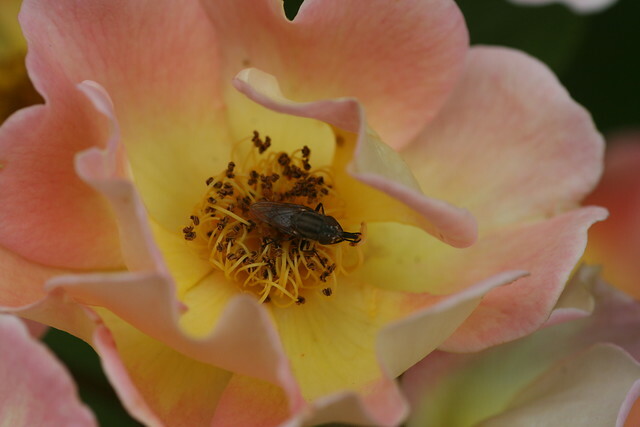 Single and semi-double roses produce large quantities of pollen so they are perfect for attracting bees and other beneficial insects. 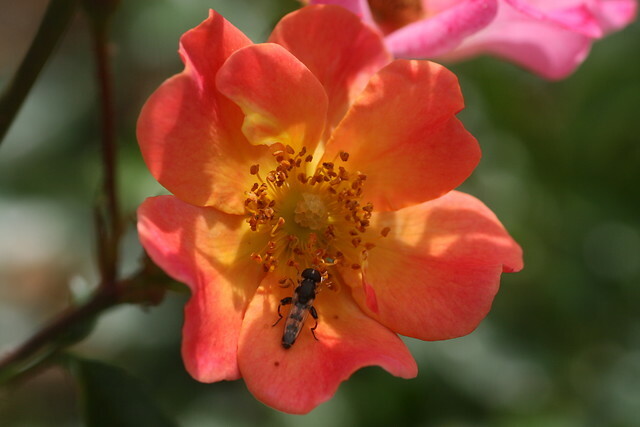 In any case, all roses that produce rosehips have been visited by insects. 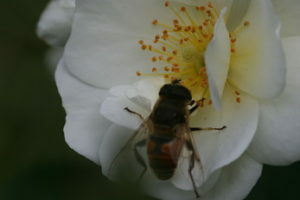 Late morning in particular is when this pollen is released in great quantities. This is also when you have the best chance of seeing insects covered in light yellow pollen after visiting the flowers. 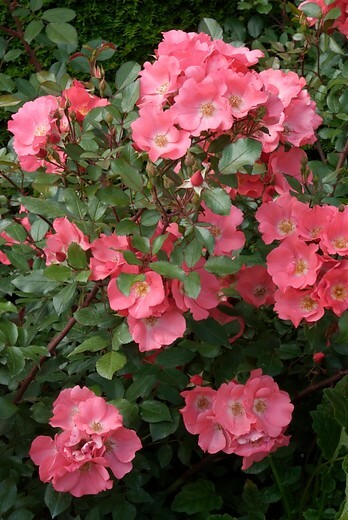 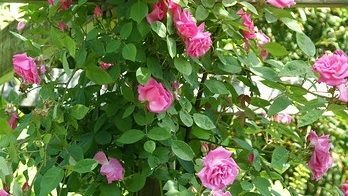 Bees will be buzzing around a rose bush on sunny summer days.